Life is Strange finally achieved the inevitable with its fifth and last episode Polarized. 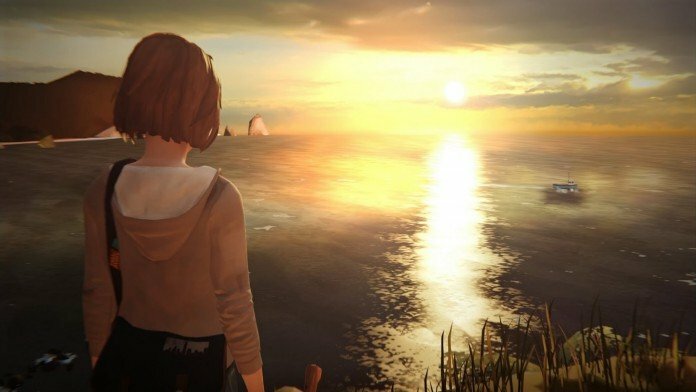 If some had doubts that Life is Strange was doomed to fall into disappointment, now it’s time to re-think the whole journey and how this title slowly turned to be a huge disappointment. Don’t get me wrong, I did play the game and I actually enjoyed it as much as it can be enjoyed. But there are many flaws, too many in fact. And as the game progresses, episode by episode, it’s notable how the narrative decays. You can definitely feel the forced turn of events, things become more and more predictable and you can just think about how the game is stuck with saving Chloe and how to become a pseudo-god, who can help everyone, fix everything, save anything and everything there is to save. It even made me remember that legendary movie “Saving Private Ryan” because you basically screw the world to save one single person and you even get an ending where you can kill your full town to save Chloe once again. The story is quite similar, except in here you have time traveling powers. Anyway, let’s move to the top five reasons why this game turned out to become an overall disappointment to players. Apart from a few occasional events that couldn’t exactly be logically predicted, the whole story is there since the very start, you just have to pay attention to the conversations, to the surroundings, to the character relationships. It’s like everything is written down and you just have to join the pieces together. I will not say I knew everything beforehand. I actually didn’t expect Mr. Jefferson’s to be the main villain. I thought the killer would either be Nathan or Pincipal Wells. But from constant teen drama, to bullying, to a suicide attempt, to teen-gone-wild, dysfunctional families… And then, the whole time travel powers, effects and consequences. I think only denial players couldn’t see the inevitable and the obvious. One thing that has always bothered me in this game is the empty promise of a choice-based system. I’ve read a lot about it even before playing, and the game was often described as an attempt to revolutionize choice in video games. But when you play it, there’s absolutely no choice-consequence system. Regardless of your choices, the main events still happen, there is too little of an impact and who really cares about secondary events that no one mentions or talks about? Like saving a flower, saving a bird, advising someone… Alright, it appears in your decision chart but so what? The story is the exact same for everyone until the very end, where you can choose between two finales. What kind of revolution is this? Even Telltale Games have more impact on choice. Life is Strange is literally a teenager melodramatic narrative that features contemporary issues with a mist of time traveling. The concept is not terrible but honestly everything is so hyped, so emotional, so exaggerated. It’s quite annoying at times because it lacks common sense and mainly logic. I know you can’t expect much from teenage girls in this case but come on, it doesn’t hurt much to use your brain sometimes. I will never understand for example: how Chloe and Max are like the best friends ever, when they spent half the game stating the opposite. Like Rachel being the most important thing to Chloe and Max didn’t care to write one single letter to Chloe for like a decade. Ok… they’re still best friends, it’s magic, it’s… teen drama! Talking about teen drama, we can continue with the fairy tale syndrome, where the main characters are always optimistic and ready to do whatever it takes to supposedly help others but they end up screwing things most of the time. Hail time traveling powers that can fix every mistake and Chloe’s numerous deaths. Point is, their impulsive and hasty behavior is simply incompatible with their peace and love believes, it’s just ridiculous. Oh, and there are hugs and kisses about dozens of times all across the game. In the end nothing really ends up alright, bad things always happen – it’s part of life, it’s part of nature… it’s part of any reality. Well, I think the ending was the last proof that many players needed to realize that this game is indeed a huge disappointment. It didn’t start as one but it slowly walked towards this path. Life is Strange ending is awful in so many ways because one of them is what everyone expected, Chloe had to die at the very beginning in order to preserve the timeline, thus avoid the environmental consequences. But the second choice is just, I would call it a direct antithesis alternative because it’s the complete opposite of the other ending. I guess developers had no better concepts or ideas and that’s the result. Let’s murder thousands of people, watch them perish away and then… let’s drive away and pretend it never happened. Chloe & Max forever friends in the wonderland of time travel disaster.